Batman Arkham Knight is going to receive additional content for free later this month, but the Community Challenge DLC pack isn’t the only piece of additional content players will be able to get for free on all formats in a few days. Earlier today publisher Warner Bros. confirmed that the Batman Arkham Knight Batman Incorporated skin is going to be made available for free with this month’s update. The skin could previously be unlocked only by using the special code included in the first volume of the Batman Arkham Knight comic book. 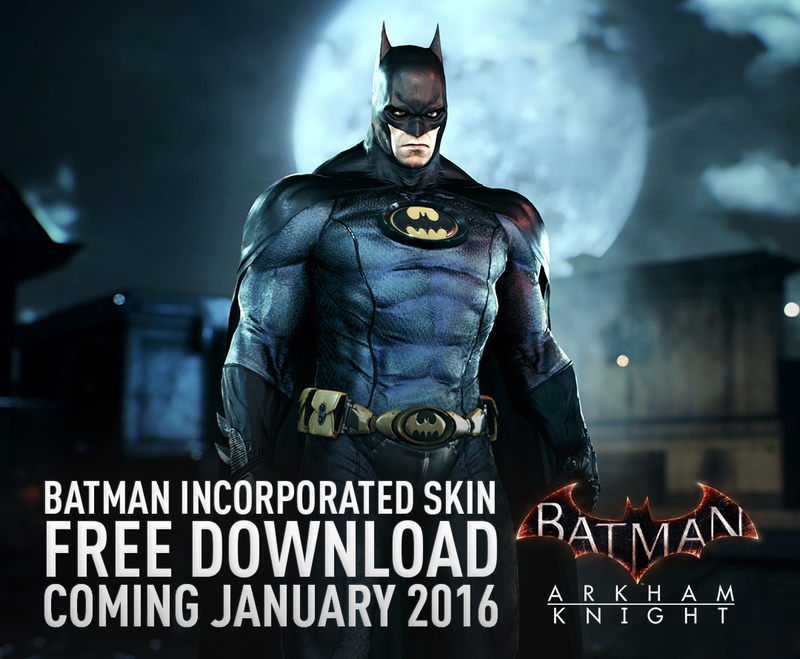 Here’s another little piece of news: also as part of the January update, we’re making the Batman Incorporated skin available to all players. We’re looking forward to seeing even more videos and screenshots of the suit in action. Warner Bros. also revealed today that the Batman Arkham Knight Community Challenge pack has been renamed to Crime Fighter Challenge Pack #6. The pack will be released on January 19th on PC and on January 26th on PlayStation 4 and Xbox One. While the name has been changed, the content of the upcoming Batman Arkham Knight Challenge Pack #6 hasn’t. The pack will include six challenge maps taken from Batman Arkham Asylum and Batman Arkham City as well as a special endless Predator Mode challenge. Batman Arkham Knight is now available on PlayStation 4, Xbox One and PC.